I am finally done with everything I wanted to do in Ava's little room. I felt like it needed one more pop of fun... and then bam! It hit me. Scrap fabric pennant. 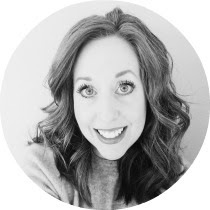 I was all inspired by Holly over at In the Fun Lane, as she's been having scrappy projects all week long. I ransacked my supplies and came up with a roll of pink ribbon, a ton of fabric scraps in pink and orange and a bit of bright orange ric rac. After arranging them in a pleasing, yet random-like-I-planned-it pattern, I began hot gluing the top edges to the pink ribbon. So easy. And I only burned myself five times. I think that's a new low record for me. I hot glued the ric rac in the center. It wasn't long enough for the whole thing, but somehow that seemed "just right." Imperfectly perfect. Oh how I love it! I tacked it up there, without measuring or over thinking it. After it was hung, I stood there trying not to do a little dance. (Truthfully, I was a little danced out anyway, since we had an after school dance party in the kitchen, to One Direction and the Beieb-ster. Well, Ava and I did, anyway. Joe kind of just watched us like we were weirdos. That could also be due to the fact that I have jokingly danced like Elaine from Seinfeld for so long, it's become my signature move. Ha!) Can you almost not stand the cuteness??!! Anyway, the pennant banner turned out cute. And it was super quick and simple to make! And free, since I was using scraps and things I already had. Even better! It's like there's a constant party going on in Ava's room now. Maybe we should move our next dance party in here. 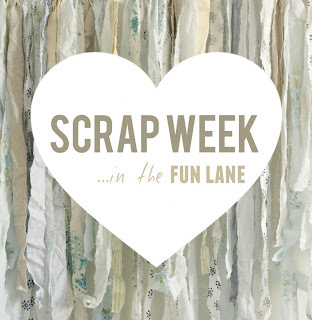 I'll be linking up to Holly's scrap party, here. Another fun update around here is actually on my blog! I added a tab for house photos and another for my favorite photos. Why didn't I do this before? I love going back and looking for certain things and now I can deposit these photos right into special little tabs! Bloggy organization. Works for me! 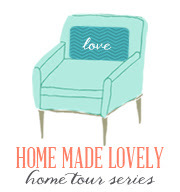 Finally, our home is being featured on the "Home Made Lovely" tours over at sweet Heather's blog, here, today! I honestly can't begin to describe how excited I am about this. 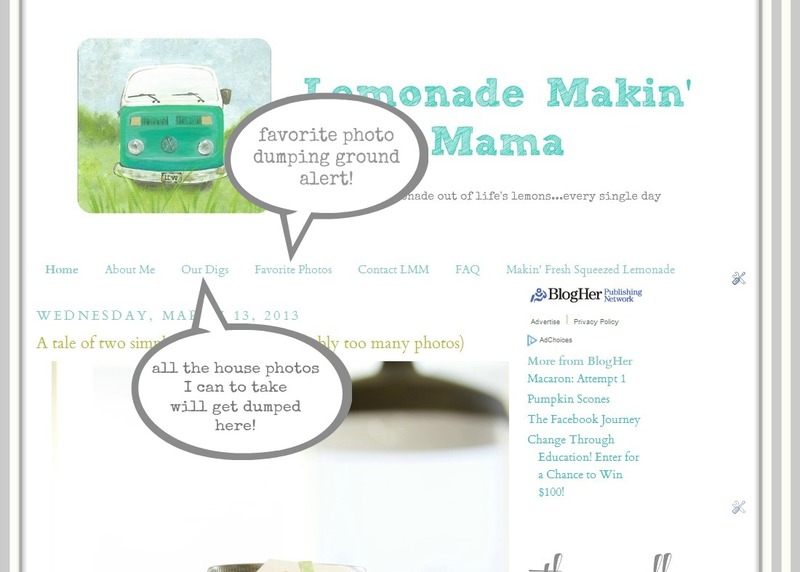 I've drooled over so many of Heather's featured home tours for ever!! I think I've looked forward to it all month long. I would love it if you wanted to come over and say "hi" to Heather and I over here. oh my!! her room is beyond adorable!! is she just in love!?! cause i am!! As if that room wasn't perfect already you've gone and flexed your decorating muscle and put the rest of us to shame! It is adorable times 1000 in there. I love how light it feels, and the colors make me all kinds of happy! Thank you soooo very much for joining in my Scrap party!! What a beautiful cheerful happy room!! LOVE the colors! seriously. you work magic, my friend! MAGIC! that room is totally perfection for your girl. I want her room! So perfect!!!!! I would love to see your son's room. We have a 9 month old I love to see boy room decor. I will have to go back and look at all the pictures on your blog. I am a newer reader but love all the photo's. Oh, and BTW whenever I hear Chicago now I think of you. Fun, huh?! ps - dont forget to add me to to the list of custom orders for one of those amazeball mason towels!! pps - did you know it is perfect timing for those towels? Ball just came out with a new 100th anniversary edition of their blue mason canning jars for purchase!! What a lovely touch! This room amazes me. I love the combination of colds! Why does my daughter's desk look so crazy cluttered???? if you could only see the basket I swept off her desk top in order to get this photo... just saying. It's NEVER clean. Drives me bananas! Her room looks lovely, lovely, lovely! I am so glad that you added those tabs, yay! Heading over her blog now. It's as sweet as I know she is. Why would she ever want to be anywhere else? Sleepover heaven! She has the cutest bedroom I have ever seen. I am so serious. I love every bit of it!! I just saw your home tour...I cant get over your kitchen. can you give a class on how to do that?! : Where did you find that cake plate and dome?? I love it! Thanks girl! The glass dome was a birthday present from my parents... from Pottery barn. I think they still sell it. The wood turntable it sits on was a lazy susan from Ikea that I sanded and stained with walnut stain (not foodsafe unless food is on a plate of course). What an amazing final touch to that lovely, lively room. Ava must be thrilled to bits. So, so cute! I love her room ~ such a happy and festive space. Well,that is cute X 2 for sure! I love your creativity! Happy weekend! i think that was the perfect touch..added so much sweet whimsy..
i am headed over to say hi to miss heather and YOU. I saw it friday morning and loved looking through your home..as always and then i just kept looking at the past homes....again...lol! Love the sweet banner & especially that it was glued & not sewn (I can't sew!). I have to tell you: I absolutely love reading your blog. It's very cheerful & I know I am always going to find something to inspire me. Thank you!! Ava's room looks wonderful! I'm a bit jealous. lol. Hope you are doing well. I need to go back and read your last few blog posts. I've been so busy lately that I've had no time to visit your blog. Have a wonderful week! Imagine what you can do with a whole piece of material! It's so cute, there is no stopping your talents. How did you clean your white chair? I've got 2 couches that need it bad. If you've posted this already send me in that direction. Thanks!